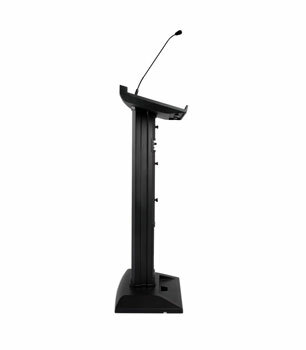 Denon Lectern Active, available in black or white versions, is a complete portable lectern system incorporating loudspeakers, amplifier and gooseneck microphone. 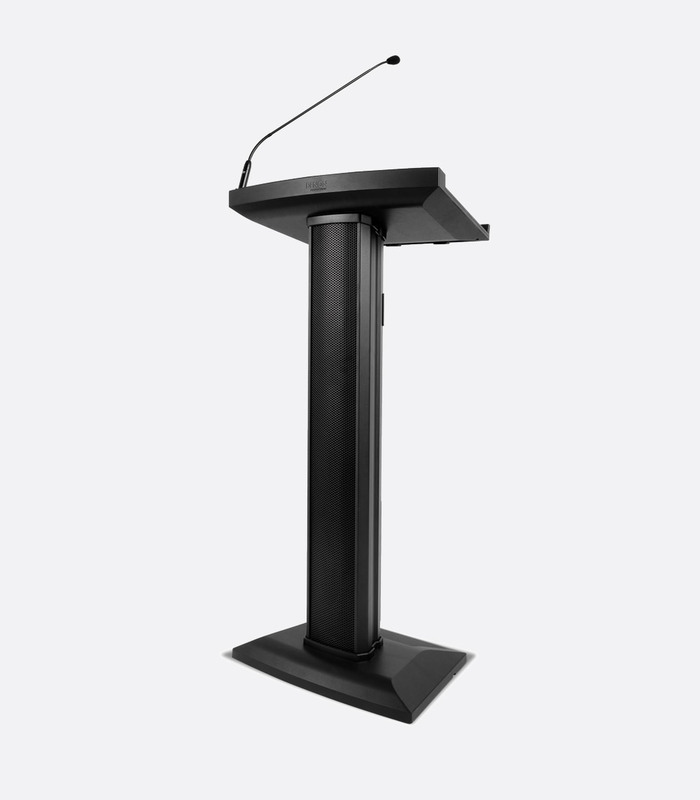 This all-in-one solution is intended for multi-media presentations, where an uncomplicated and speedy set-up is required. 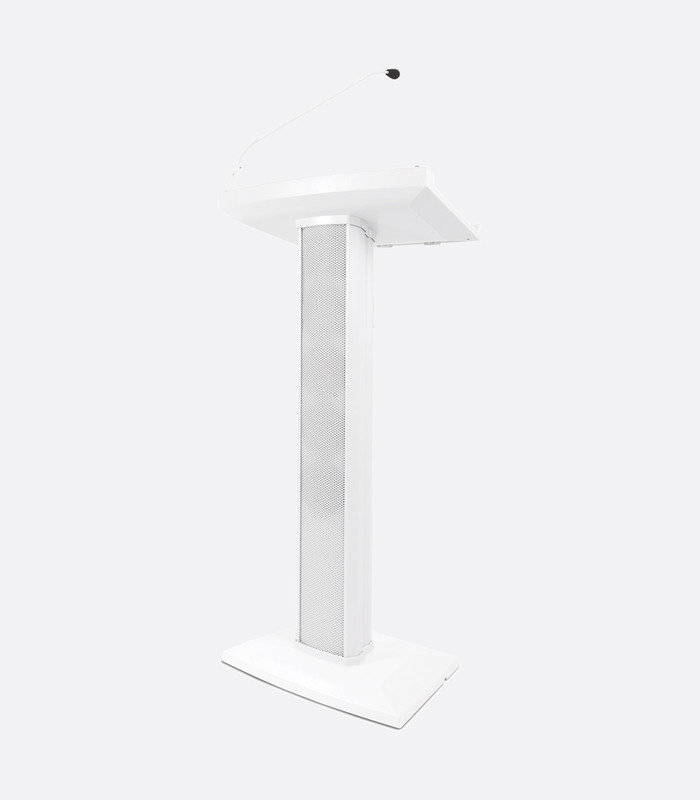 Lectern Active may be suitable for use in hotels, leisure venues, houses of worship, schools and conference facilities. As such, it may also appeal to AV rental organisations. 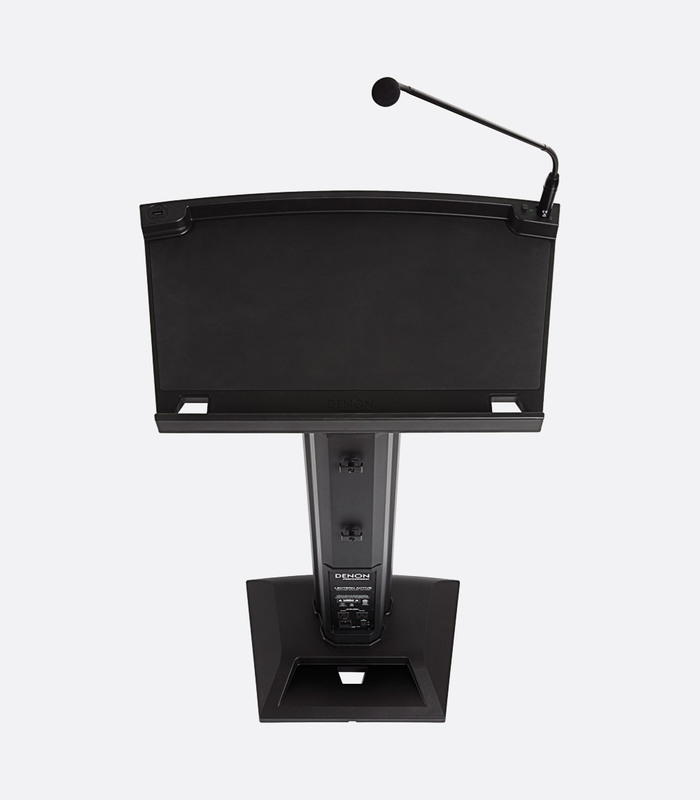 The lectern tray provides a none-slip rubberised platform for a laptop or presentation materials, and includes one XLR socket with 'Mute' switch for the connection of the supplied gooseneck microphone. 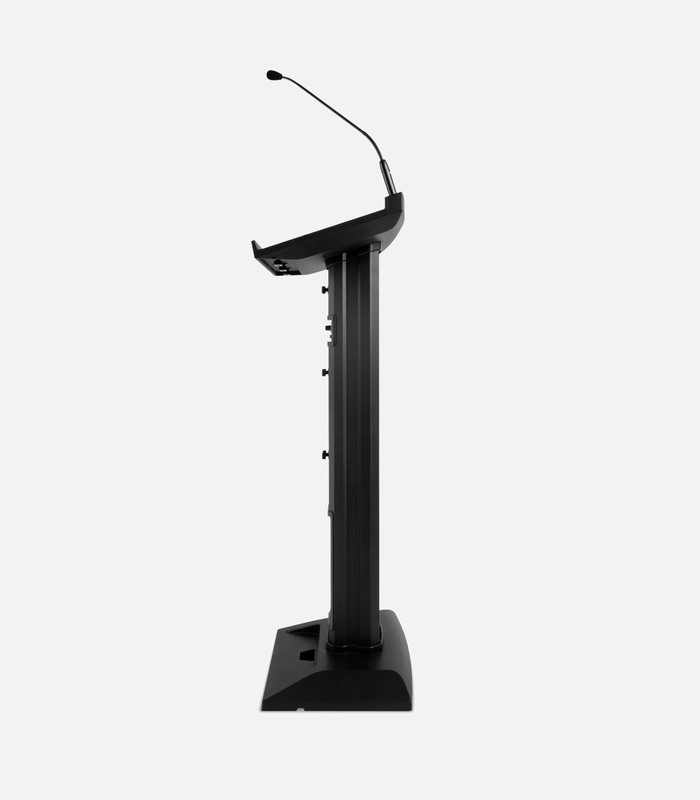 Lectern Black also has a 5V USB Type-A socket (power only) which may be used to power a USB lamp, and offer simultaneous charging of mobile devices, whilst the Lectern White has a 4-pin XLR socket to connect a compatible gooseneck lamp. 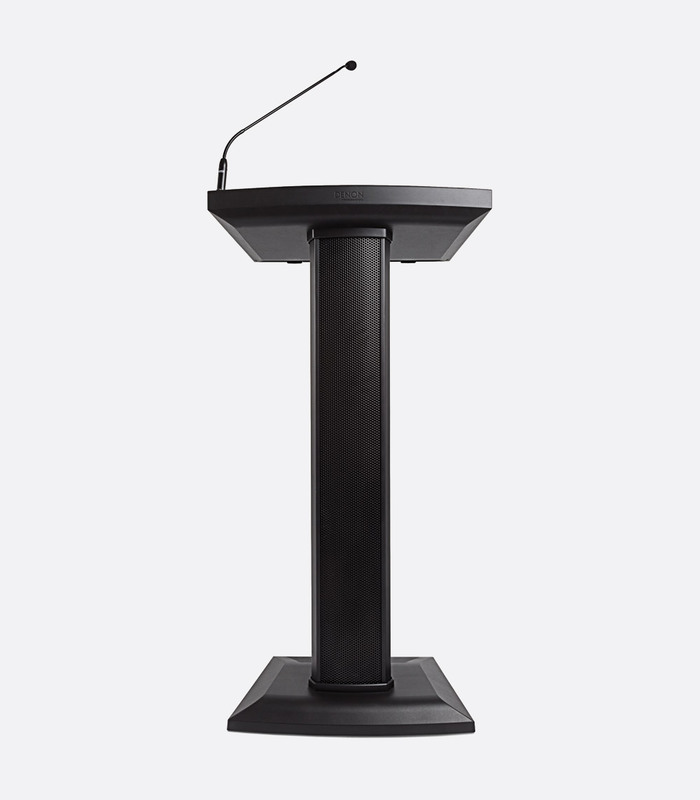 Both active lectern systems incorporate four 5.25 inch full-range loudspeakers and one horn-loaded HF driver, driven by a 100W RMS (200W peak) Class-D amplifier. 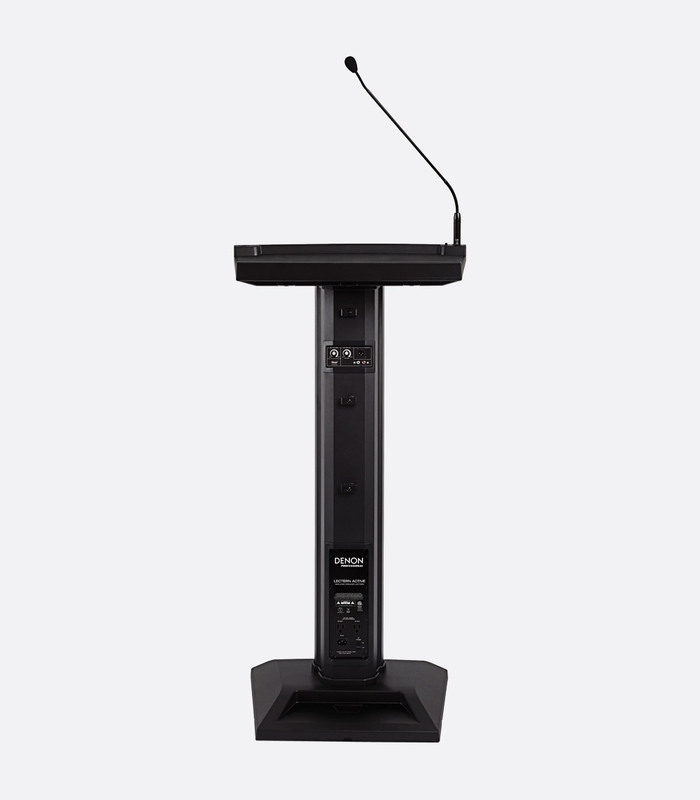 A 2-channel mixer is built into the rear of the lectern column and provides simple level control of the microphone and auxiliary inputs via rotary knobs. One USB socket is provided for charging or audio playback from mobile devices, one 3.5mm socket and one pair of unbalanced RCA sockets can be utilised to connect external media such as MP3 players. 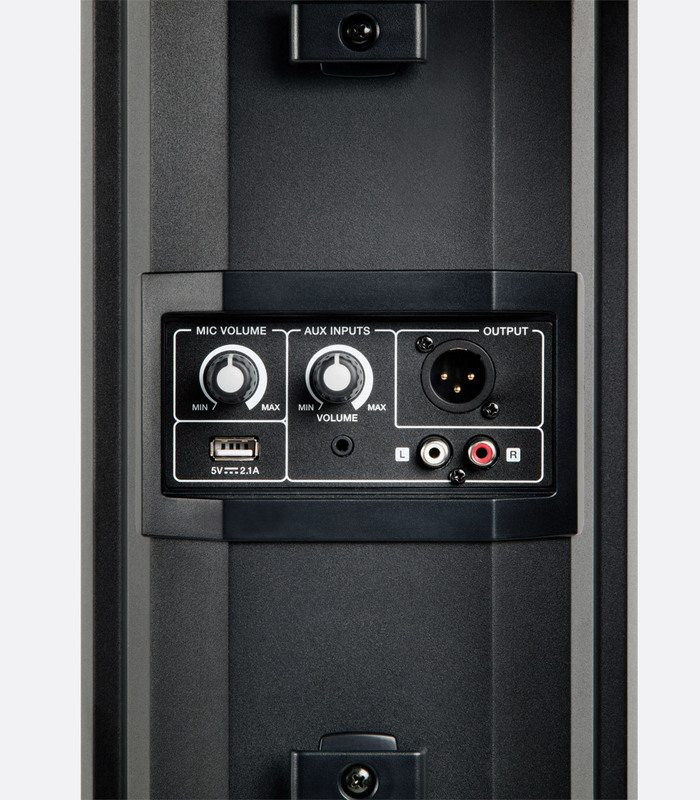 A single 3-pin XLR provides balanced, line-level output for connection to external PA systems or additional powered loudspeakers. Powering is 220-240V via IEC inlet. Two UK 3-pin 'extension sockets' are provided for easy powering of laptop computers or additional external PA systems. Dimensions: 631 x 381 x 1195mm. Weight: 19.96 kg.